It's the first day of Chanukah, Christmas Eve and of course Holiday, the arbitrary period of time of celebration for Pastafarianism. 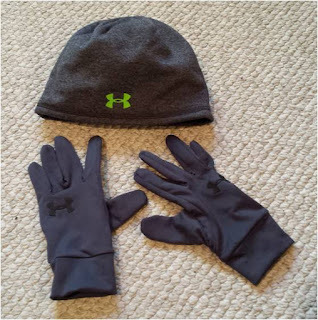 I finished up business for 2016 on Thursday and worked from home which allowed me to get out for a run in the morning. The day before, when I was still in the office, one of my managers gave me a very thoughtful holiday gift - an Under Armor hat and running gloves. I wasted no time trying them out and wore them on my Thursday morning run. I was off from work as of Friday and out until January 3rd. That should give me an opportunity to get in some extra running miles. Yesterday's run was similar to Thursday's. I mixed up my route but ended up covering about the same distance as the day before. We were expecting overnight visitors, so I had to be finished up and presentable before they arrived. This morning I got out early so I could get in my run before our guests woke up. I dressed for 43° weather and clipped a flashing light to a pocket in my running pants in deference to the still dark skies. I was almost out the door when my daughter mentioned that it had started raining. I took a quick peek outside and confirmed that she was correct. I added a running rain jacket, switched my Zantes for my Cascadias and went out into the dark, wet morning. I don't love running in the rain but with good gear it's not really a big deal. My jacket kept my upper body dry and I was careful to avoid the puddles that form where streets intersect. I wasn't feeling particularly ambitious and, as the conditions for running weren't particularly good, I ended up cutting it short. I felt that 2.5 miles was more than enough today. Later in the day we had a family holiday lunch. That included my drinking a Guinness that (surprisingly) didn't put me immediately to sleep. 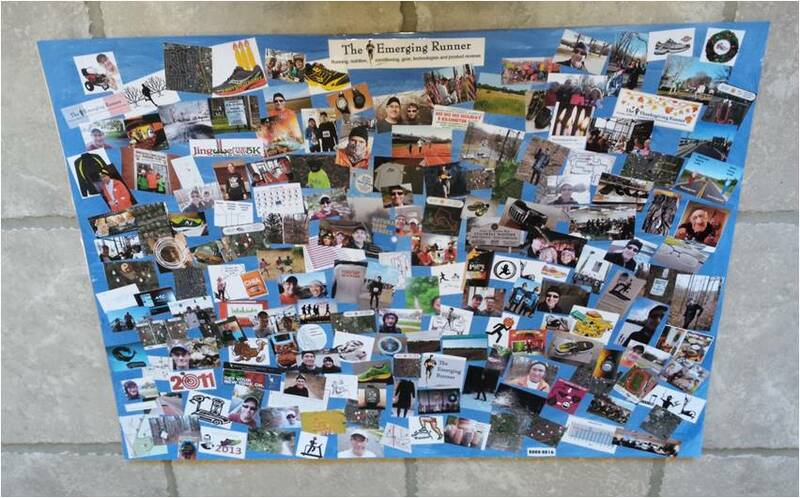 Gifts were exchanged and I was very excited to see that my wife had made me an awesome Emerging Runner collage. She took many photos and images from my posts going back to the start of the blog in 2008. It includes a lot of artwork I'd made, as well as pictures of friends and family. It will go up in our guest room / office / "fitness center" to inspire me, along with the other bibs, pictures and other running mementos. We have a lot planned over the next eight days and I'm looking forward some rest and relaxation. I'm wishing my friends and family great holidays and great running as this weekend. What a wonderful thoughtful gift!! I was really excited when I opened it. I had no idea she put that together. 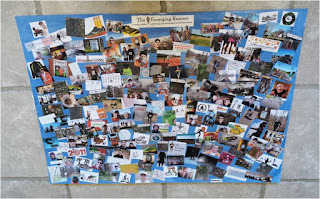 She included a lot of really fun images and the Runsketeers are all over it.